if you are tourist in Dominican Republic, of course - it's always nice to have medical insurance from international medical insurance company. If something bad happens and you have such insurance - you just contact your insurance company and they will tell you where is the nearest clinic in DR that accepts their insurance. If there is no clinic near you - just contact your insurance company, go to any private clinic, pay the bills with cash, collect the bills and insurance company will return you the money. I'm talking about private clinics here. If something bad happen, like accident, broken leg, strange ilness symptoms - and it's urgent - you just go to ANY dominican hospital, go to its emergencia and they will help you instantly. Of course - the situation with hospitals and healthcare is the same like with dominican police - its better to not be in position to have to use it. Simply - its better to be healthy. Laundry -doing laundry is not so cheap actually in Dominican Republic. I mean - laundry of the clothes, not the money - some people say that laundering money in DR is really easy and effective. 😉 But let's talk about doing laundry of the clothes. 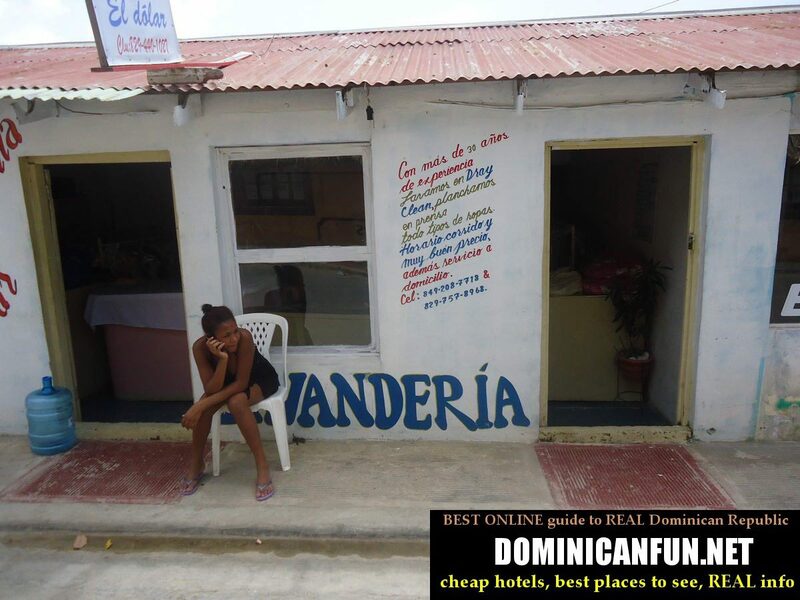 Laundry service in Dominican Republic - lavanderia. Massage -Dominican Republic is not a Asia, and you can rarely find here massage service (in asian countries like Thailand, Malaysia and so on - they are in every town...) So while it's not always possible to get massage in typical dominican town - you can always spot some massage services in tourist places and in biggest dominican cities - like Santiago or Santo Domingo. What I'm talking about here is the normal massage - not the happy ending massage or special massage service (I will talk about it later). Sometimes you can also ask ladies working in beauty salon (centrum de unas) in dominican town (and these beauty salons are everywhere - Dominican girls love to spend money on their hair and so on). 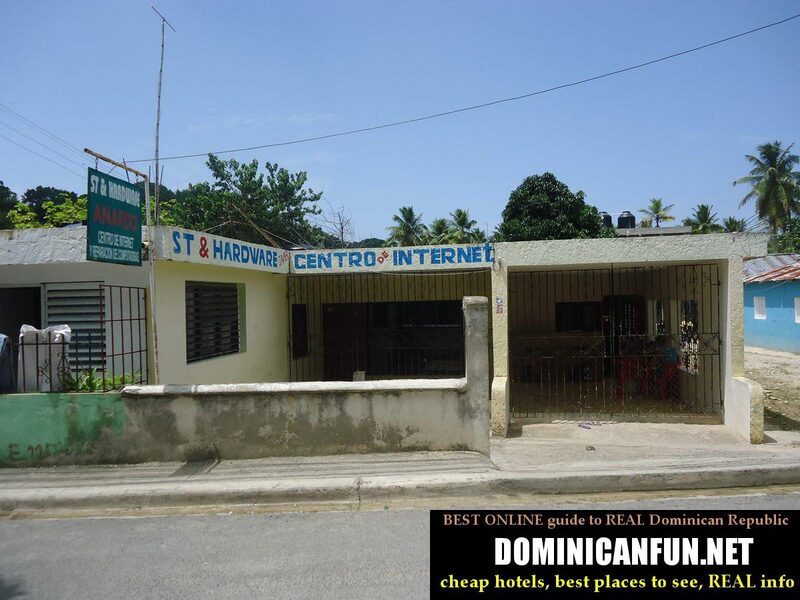 One hour of massage in Dominican Republic usually cost around 500 pesos, and the quality of the service is nothing to brag about. 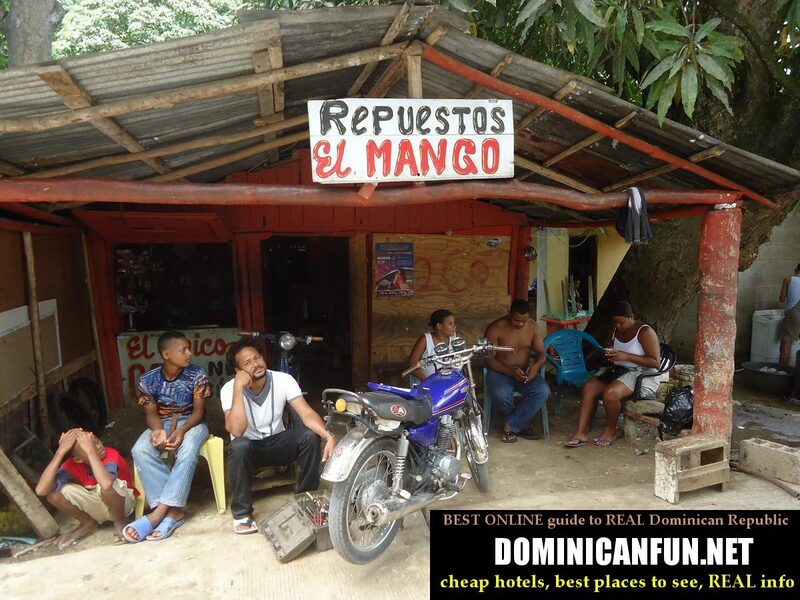 Each young dominican knows how to repair motorcycles here. So its not hard to get help for your motorbike in any given moment, even far away from everything. 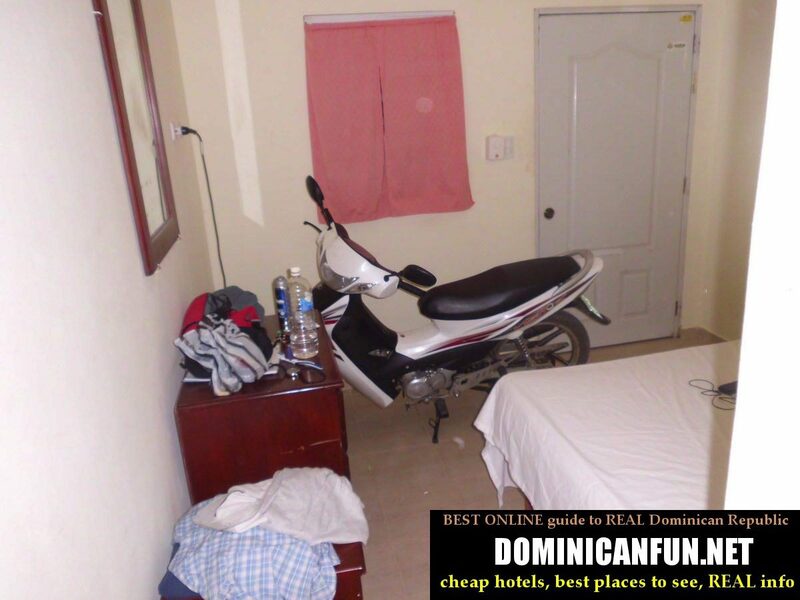 Motorcycles are widely used here by everyone; and repaired and redisgned also...by some young Dominicans. Mechanics in Las Terrenas. Hard deserved break in work. Mobile Networks - there are few mobile operators in Dominican Republic: Claro, Orange, Viva and the fourth one which name I dont remember actually...To get SIM card from any operator - even the prepaid, you have to show your passport. The SIM starter card usually cost around 100 pesos; the cheapest mobile phone around 800 pesos. 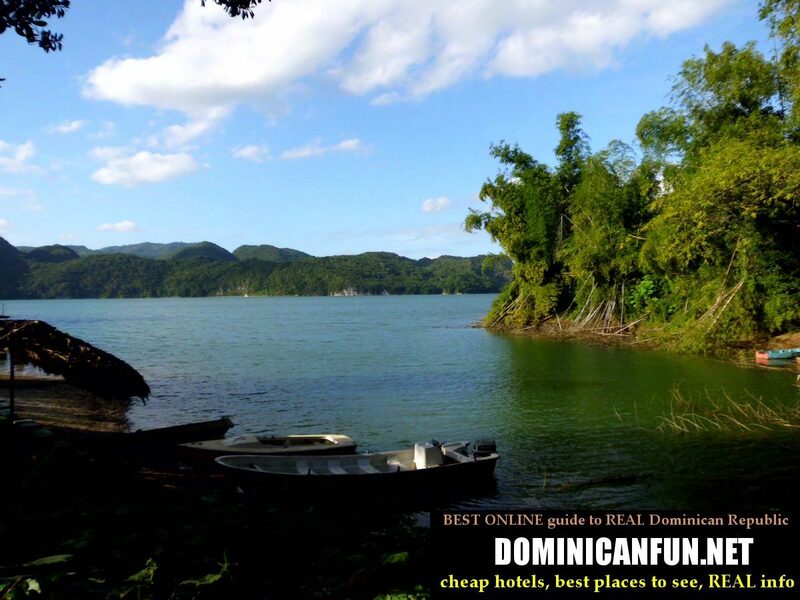 Nature - is truly amazing in Dominican Republic. Country has it all: ocean access, sea access, lakes, mountains, bush,steppes and even the desert. If only the Dominicans would know how to respect it...And if only the tourist/ visitors would know that too....That's a long story actually, and very often - sad story.